USANA, word! : Why you should be pro Proflavanol C100! Why you should be pro Proflavanol C100! You may know them as a favourite fruit but did you know that grapes have been used for their health benefits for thousands of years? The pulp, skins, leaves and seeds have all been used in ancient medicine. Recent research is focussing on the health benefits of grape skin and grape seeds. 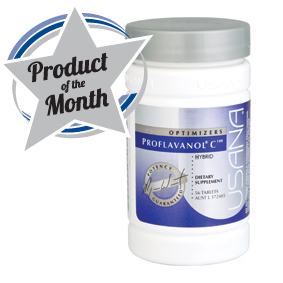 And USANA’s research scientists have studied the potent antioxidant properties of grape seeds. 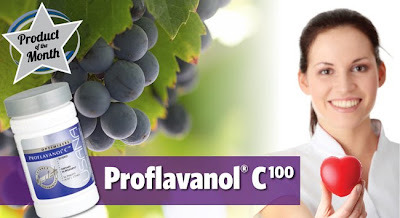 You’ll find grape seed extract together with vitamin C in the form of Proflavanol C100. Grape seeds contain some of the most powerful antioxidants around – the active ingredients in them are a group of closely related compounds called oligomeric proanthocyanidins (OPCs) AKA procyanidolic oligomers (PCOs). You’ll also find OPCs in peanut skin, cranberries, blueberries, bilberries, pine bark and green and black teas and in lower concentrations in grape skin, grape juice and in red wine. Like other fresh fruits, grapes are naturally rich in vitamin C which adds to their antioxidant power. Let’s take a closer look at the health boosting properties of Proflavanol C100! Keeping your blood vessels healthy is essential for heart health – OPCs like those in Proflavanol C100 help to relax blood vessels so that the blood can flow more freely supplying oxygen and nutrients. Plus, together with grape seed extract, vitamin C improves antioxidant status and vascular (blood vessel) functioni. Free radical damage is thought to contribute to ageing and also to chronic (long-term) health problems such as heart disease and cancers. Although your body has effective ways to fight free radical damage, some can escape causing cell damage. Antioxidants such as OPCs can block the potentially damaging action of free radicals; OPCs from grape seeds have 20 and 50 times more potent antioxidant activity than vitamin C and E, respectivelyii. OPCs increase the structural strength of weakened blood vessels and have been shown to effectively treat vascular conditions so you may be able to boost the blood vessel strength with OPCs. In France, prescribing OPCs to treat blood vessel problems is common. This is because laboratory studies have shown that OPCs can make blood vessels more elastic. Over 80 per cent of facial skin damage is due to sun damage and/or overexposure to glare produced by water and snow or due to wind damage. The sun ages skin by triggering free radical production; it also reduces the skin’s small reserves of vitamin C so getting enough of this important antioxidant can help boost skin’s ability to filter UV light. Vitamin C works with vitamin E and with plants’ natural sunscreens (pigments like lutein, beta carotene and lycopene) and the kind of OPCs in Proflavanol C100. You can find antioxidants in many foods including fruits, vegetables and teas, but in much smaller concentrations. A recent UK study found there to be three times more noxious pollution in the home compared with outside in traffic-choked streets. And, it is being made worse by draft-free energy efficient homes, air fresheners and strong cleaning products according to scientists from Sheffield University. ‘We spend 90 per cent of our time indoors and work hard to make our homes warm, secure and comfortable, but we rarely think about the pollution we might be breathing in,’ said Professor Vida Sharifi, who led the research. OPCs and vitamin C are potent antioxidants which help to protect cells from the damage caused by free radicals including free radicals in environmental pollution. OPCs are the most powerful natural free radical scavengers known, and as a bioflavonoid complex, they increase the effectiveness of Vitamin C. Taking vitamin C reduces the duration and severity of the common cold, especially in people who train hard and exercise regularly. They may also help to boost immune function in other ways. Proflavanol100 is a powerful combination of grape seed extract and Poly CTM (USANA’s highly absorbable form of Vitamin C). Adults, take two to four delicious grape-flavoured tablets daily, preferably with food. Use only as directed. Always read the label. Vitamin supplements should not replace a balanced diet. If symptoms persist see your healthcare practitioner. Laboratory tested, quality guaranteed. Meets British Pharmacopeia specifications for potency uniformity and disintegration where applicable.